Safe, durable, cost-effective grating for pool renovation or new construction. 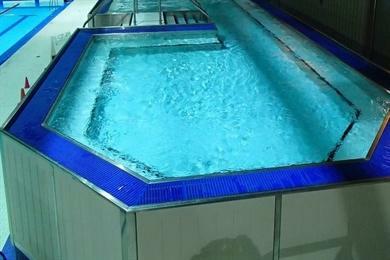 Natare grating and grating systems are a long-lasting solution for changing rooms, athletic facilities, industrial applications and most importantly, perimeter drainage in and around swimming pools, water features and aquatic facilities. 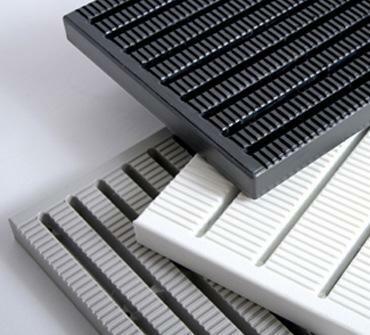 PVC grating is available in standard and custom dimensions to suit any individual requirement. White is the standard color, but custom colors and color combinations are available. GPM grating is custom fabricated from a marine-grade polymer and is environmentally stabilized to withstand the harshest aquatic conditions. It will not rot, discolor or delaminate. Even repeated blows from a heavy hammer will not break GPM grating. Natare grating resists chipping and cracking and remains unchanged when presented with harsh pool chemicals. 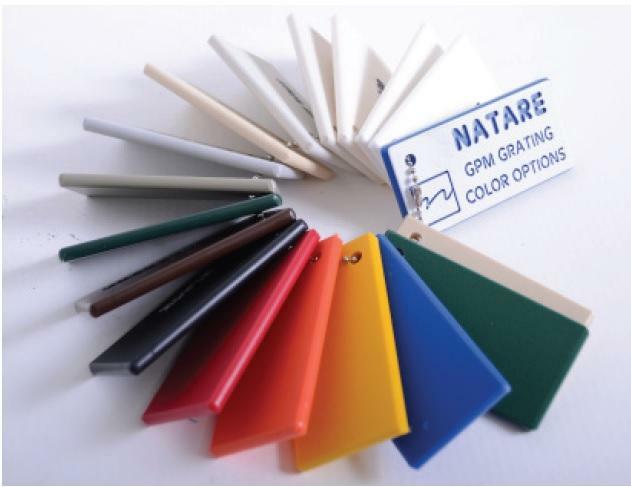 Additionally, Natare PVC grating resists the deteriorating effects of ultraviolet radiation and will not fade. A low-maintenance finish eliminates repair and refinishing due to weathering and deterioration and is easy to clean. GPM grating has a slip-resistant matte finish on both sides to hide scuffs and scratches. This video shows the extreme durability of our GPM grating. All Natare grating has a permanent, bi-directional slip-resistant surface that exceeds the ASTM coefficient of friction standards. Natare grating does not use coatings or grit, which can wear-off and catch dirt. Our grating is safe and comfortable, even for bare feet. All Natare grating is impact reinforced, and resistant to UV rays. IT also resists frost and damage from freezing, even in the harshest climates. Natare grating is “hammer-tough” and will not crack, shatter or split in normal applications. The color is permanent, not a paint or coating. Natare grating is available in white and custom colors. Black PVC overlays are available for racing lane targets, special course markings and other applications.